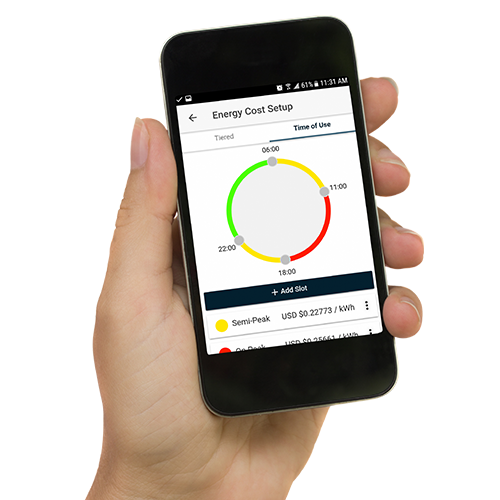 Access real time energy information directly from a smart meter and incorporate it into your smart home system for unparalleled monitoring of energy use and lower costs. 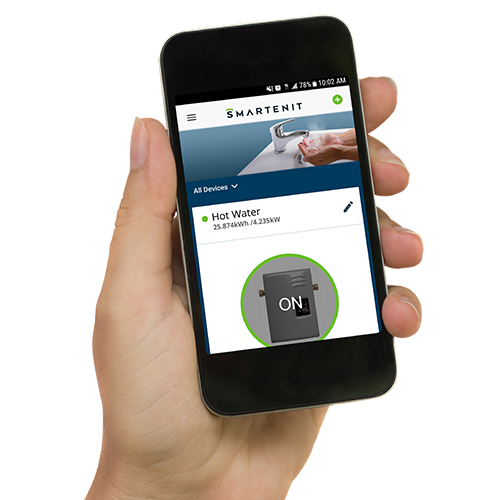 Our Virtual In-premise Display plus gateway and app allow setting appliance schedules based on consumption and real-time electricity costs, plus let you participate in utility incentive programs. 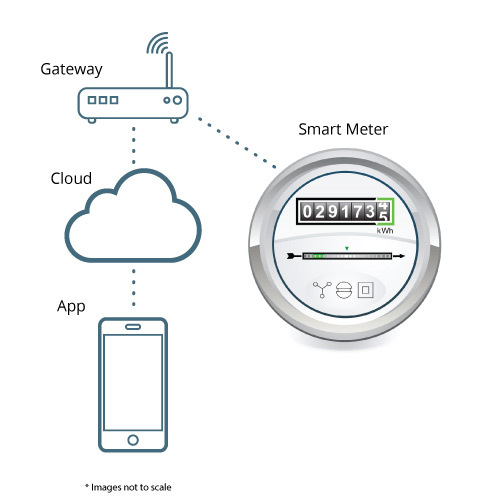 This solution takes advantage of a smart meter that uses the Zigbee Smart Energy profile to let customers have direct access to energy information in real time (in cooperation with utility). Our Harmony G2 gateway with VIPD interface connects wirelessly to the smart meter. The gateway connects via broadband (WiFi, Ethernet or cellular) with our cloud service. Our app, implemented either in iOS or Android, interfaces with the gateway either directly (when in the same local network) or through the cloud service from anywhere an Internet connection is available. 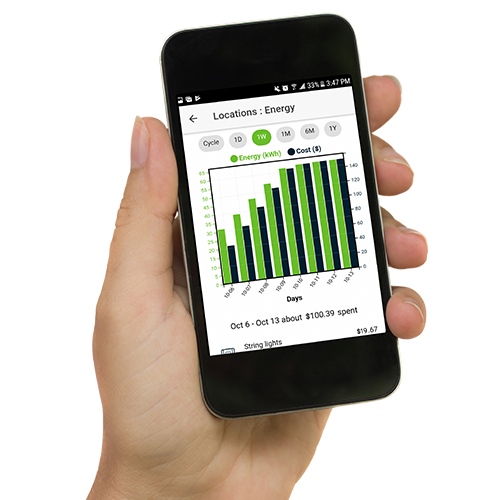 The smart meter provides real time energy information in the form of instantaneous demand and accumulated energy. It also provides pricing information, signals to command demand response on selected appliances in the network, messages from the utility such as power savings tips, plus energy cost information in a format specific to the utility. The app facilitates display of the information and implements basic management and display of consumption and cost for the entire premise. Additional analytical services from the cloud can be accessed with paid subscriptions. A kit consisting of our Harmony G2 gateway and VIPD accessory is available if you are interesting in evaluating this solution. Please contact us for details. Know your total energy consumption and cost and get insights into your electricity bill for cost saving changes. 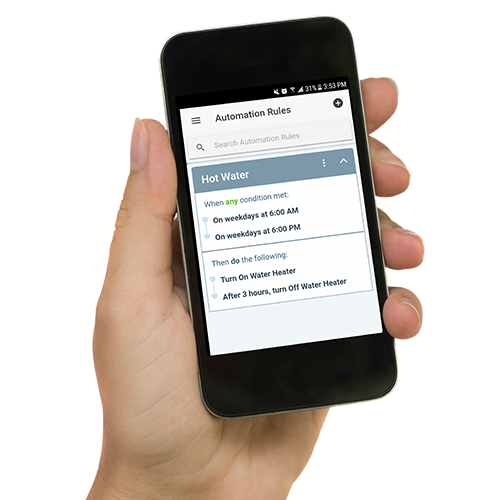 Get notifications and reminders directly from the utility and opt-in or out on specific situations. Participate in utility-driven incentives to save even more..
Offer Demand Response programs based on frequency, consumption and TOU rates. Access appliances like pool pumps, water heaters, and AC compressors directly fro 2-way DR confirmation. Encourage savings programs and keep customers informed real-time. Access energy information directly and in real-time to manage appliances for your customers more directly and transparently. Implement utility programs confidently and economically with our already implemented secure “last mile” to the customer.